As a major VoIP hardware reseller, we at VoIP Supply understand first hand the need that customers have for complete voice over IP solutions that don’t break the bank. 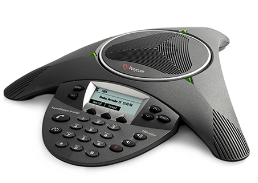 For many businesses, it makes sense to look for used VoIP hardware at widely recognized dealer sites such as eBay and Craigslist in order to fulfill their VoIP needs, especially of all they need are IP phones. But if you really stop to think about it, you may be doing yourself a disservice and may actually end up spending more for used VoIP equipment than what you bargained for. Since there is no standard for what non-new equipment should be, customers who buy at dealer websites really do not know what they can expect to receive or if the products they buy will work well or for how long. That is where our Refresh line of refurbished products differentiates itself. Each of the Refresh products goes through a 10 phase reconditioning process to ensure that each product has been fully tested and is ready to perform like it did when it was first purchased. But the fact that all products go through an extensive reconditioning process does mean that they won’t break. That is why our Refresh products come with a six-month warranty. You also have the option to extend your warranty for a small cost to a full 12 months. If your equipment fails, malfunctions, or ceases to operate properly for any reason VoIP Supply will provide you an expedited replacement. Why Buy VoIP Supply’s Refresh VoIP Products? Refresh products represent an exceptional value as they can be purchased for 20 to 25 percent less than their new equivalent retail price. Since all Refreshed products have gone through an exhaustive reconditioning process you can be assured that each product has been fully tested and ready to perform just like it was when originally purchased. There is no loss in performance when you choose a Refresh product. All Refresh products go through an extensive reconditioning process which includes feature/functionality testing, component replacement (if necessary) and software upgrades. 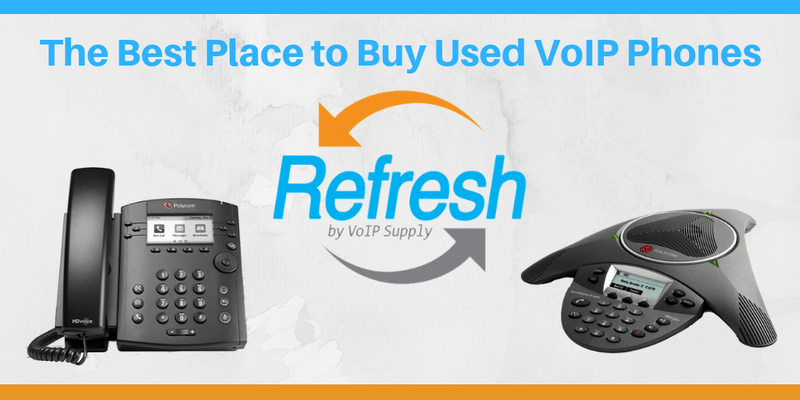 Unlike new in box products which are subject to availability issues through the manufacturer’s distribution channel, all Refreshed products available for sale are in stock in VoIP Supply warehouse. This gives you the confidence of knowing when you place your order there will be no surprises or waiting for stock replenishment. Every Refresh product comes with a standard six month warranty that covers mechanical failures and defects. 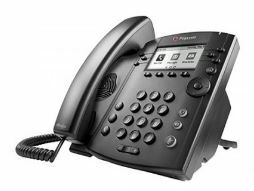 In addition VoIP Supply also offers an additional six months of protection through the Plus 6 warranty. Click to take a look at our Refresh products of the month! And don’t forget! Now you know the Refresh difference! 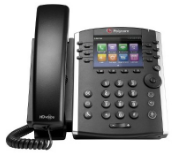 With VoIP Supply’s refurbished products, you can’t go wrong. Call us today if we can help answer any of your questions, 1-800-398-8647.